Cleaning a home espresso machine can be a daunting job. Short of hiring your own barista, read on. 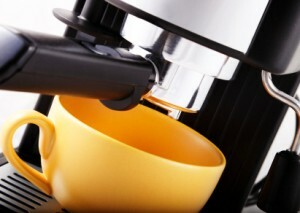 This is a guide for cleaning a home espresso machine. I have an Italian espresso coffee maker that has collected a lot of oily stuff inside the upper container (where the coffee is collected). Someone had told me never to wash it, now I have my doubts. Any advice? I do not know the maker of the thing. Many thanks for taking the time to reply. I don't know why you were told not to wash it. I have had one for over 40 years and hand wash mine after every use. I just put a drop of handwashing dish detergent on my damp dishrag, go over the entire pot and rinse well and let drain dry on my drainboard. All coffee has oils and it will build up and affect the flavor of your coffee. That oily buildup is certainly from the coffee. I would wash this pot on a regular basis. If you use it several times a day, maybe a rinse between uses would be sufficient, and a thorough washing once a day. I think the whole "not washing the coffee pot " idea is a very out dated one.